Herman Boerhaave, J. Chapman, 1798. Source credit: http://ihm.nlm.nih.gov/images/B29694 via Wikimedia Commons. 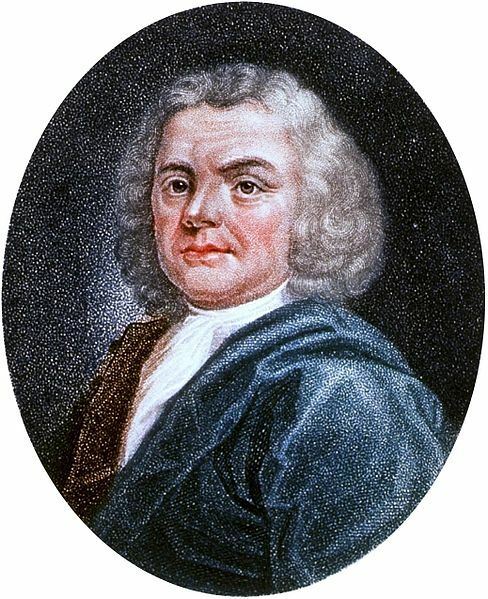 My current research project focuses on how Herman Boerhaave’s (1668-1738) medical and chemical ideas, particularly those on metals, influenced the theories and practices of his students and other followers. The longer I work on this topic, the more I notice Boerhaave’s general influence on his contemporaries and the next generations. Already during his lifetime, Boerhaave was famous far beyond the borders of the Netherlands, even though he hardly left Leiden and the furthest journey he made during his life was to Harderwijk, a Dutch town about 100km from Leiden, where he gained his doctorate. A popular (alhough never documented) story told that a letter sent from China, addressed simply to ‘the illustrious prof. Boerhaave, physician in Europe,’ reached him without delay. Then there was Boerhaave’s stove, a small wooden box-like incubator Boerhaave described in one of his text books and which students, apothecaries and amateurs constructed at least till the early nineteenth century to conduct chemical experiments, prepare ingredients for drugs, and even hatch eggs. 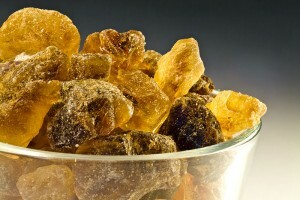 Another trace of Boerhaave’s influence on Dutch eighteenth-century culture was the continuing description of dark candy sugar as ‘Boerhaave’s sugar,’ because he prescribed it as an ingredient in cough syrups. Yet most clearly of all can his influence be seen in both professional and private eighteenth-century manuscript recipe books. Brown candy sugar, also known as ‘Boerhaave’s sugar’ in the eighteenth century. Image credit: © Alice Wiegand / CC-BY-SA-3.0 via Wikimedia Commons. Although it may seem obvious that Boerhaave’s medicine influenced that of other medical men, it is interesting to see how diverse his influence was. Lately I compared a number of eighteenth-century Dutch manuscript recipe books and was pleasantly surprised by the different ways in which Boerhaave’s medicine influenced both medical men and others. In an anonymous recipe book that was probably compiled by a medical man of some sort, four recipes are attributed to Boerhaave, and three to his direct successor at Leiden University, Jerome Gaub (1705-1780). That this book was most likely used by a medical professional can be told from the fact that most of the recipes were written down in Latin, and measurements were given in apothecary shorthand, i.e. weights were indicated in drams. Moreover, recipes for analgesics and purges to be used in persistent illnesses such as venereal disease and epilepsy, often accompanied by a note that they are only to be used if all else fails, are dominant, and ingredients like mercury, antimony, and sulphur are frequently listed. This forms a stark contrast with household recipe books from the same period, like the anonymous ‘Medicamentboek’ that contains recipes attributed to ‘Bourhavi’ [sic] against fever and coughing. The most remarkable difference with the first recipe book is that almost all recipes are in Dutch, and contain primarily readily available ingredients, such as beer, bread, wine, honey, candy sugar, herbs, spices, rhubarb, tongue of veal, red cabbage, liquorice, and vinegar. Moreover, instead of cures for persistent and grave illnesses such as advanced venereal disease, this recipe book lists cures for more common ailments such as dandruff, irritated gums, coughing and winter hands. Although some recipes in this book have been written in apothecary shorthand, in Latin, or contain more exotic ingredients such as red coral and boiled puppies, these entries are all in a different hand than the bulk of the recipes, suggesting the recipe collector occasionally asked a medical professional to add a recipe to his or her household medical recipes book. Rather than reading all these attributions to Boerhaave as direct evidence of medical networks, which is problematic, as they do not prove that the compiler had any affiliation with the names source, they can be read as proof of the diverse yet widely dispersed influence of Boerhaave’s medicine in eighteenth-century Dutch society. For medical men, he was a professional example whose recipes, especially the more complicated ones that contained potentially dangerous ingredients such as metals, were collected as a resource for extreme cases. For laymen, Boerhaave’s name and simpler recipes, based on more readily available ingredients and aimed at more common ailments, carried equal authority. Anonymous. “Receptenboekje”, ca. 1750. Museum Boerhaave Library, Leiden: BOERH a 313. “Medicament boek : met een recept van Boerhaave tegen koorts”, 17XX. Museum Boerhaave Library, Leiden: BOERH a 308. For more on interpreting early modern recipe books, see Michelle DiMeo and Sara Pennell, eds. Reading and Writing Recipe Books 1550-1800. Manchester and New York: Manchester University Press, 2013. To anyone familiar with the practices of Thomas Dover (1662-1742), alias the Quicksilver Doctor, it may seem like mercury and mercury-based drugs were prescribed and taken rather indiscriminately by physicians, apothecaries and patients in the eighteenth century. [i] However, pharmaceutical handbooks, often written by experienced pharmacists under the auspices of university professors of medicine, give an entirely different view. These handbooks, some of which were reprinted in great numbers for decades, were aimed at professional apothecaries and other medical men. Although virtually every pharmaceutical handbook listed mercurial drugs, they all warn against using them too liberally. Title page of the 1681 edition of the Medicina Pharmaceutica. Credit: Amsterdam University Library. Only if a disease did not respond to the herbal remedies could ‘dangerous chemical preparations’ be applied. As this was the first edition of the Medicina Pharmaceutica from 1681, and the first decades of the eighteenth century saw an increasing incorporation of chemistry in the academy, one might expect that the last edition from 1741 was less tentative about the prescription of chemical remedies. [vi] Previous editions had been printed in Brussels, but the 1741 edition was printed in Leiden–a city with one of the leading medical faculties of Europe at the time. The reprint even had a preface written by the Leiden professor of chemistry Hieronymus Gaub. Although the spelling of the 1741 edition was updated to modern standards, the same old warning was once again repeated. This raises questions about the extent to which early chemical research and teaching at universities was changing professional medical men’s understanding and application of mercurial, or other chemically-based, remedies. Moreover, the apparent contrast between the cautions and warnings in professional handbooks like these and popular culture on the one hand, and the ostensible popularity of mercury remedies on the other, makes this a fascinating research topic. [i] Also see Kenneth Dewhurst, The Quicksilver Doctor. The Life and Times of Thomas Dover Physician and Adventurer (Bristol: John Wright & Sons Ltd., 1957). 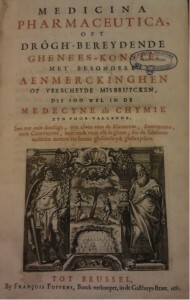 [ii] Robertus de Farvacques, Medicina pharmaceutica, of Groote algemeene schatkamer der drôgbereidende geneeskonst (Leiden: Isaak Severinus, 1741). De Farvacques, the personal physician of Charles II, was not really the author of this book. His name was used by the actual author, the Brussels friar Peter Gilles, to lend it more authority. See L.J. Vanderwiele, “Broeder Petrus Gillis S.J. (1620-1697), Auteur van Medicina Pharmaceutica of Drogbereidende Geneeskonst”, Kring voor de geschiedenis van de pharmacie in de Benelux. Bulletin. 69 (maart 1986): 8–16. [iii] Robertus de Farvacques, Medicina pharmaceutica, of Groote algemeene schatkamer der drôgbereidende geneeskonst. (Brussels, Francois Foppens, 1681), Vol. V, 932-5, 951-5. [vi] On the formation of chemistry as an academic discipline in the early eighteenth century see Bruce Moran, Distilling Knowledge. 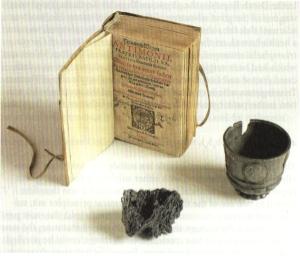 Alchemy, Chemistry, and the Scientific Revolution (Cambridge, MA: Harvard University Press, 2005), chapter 4. Attalus II or III. 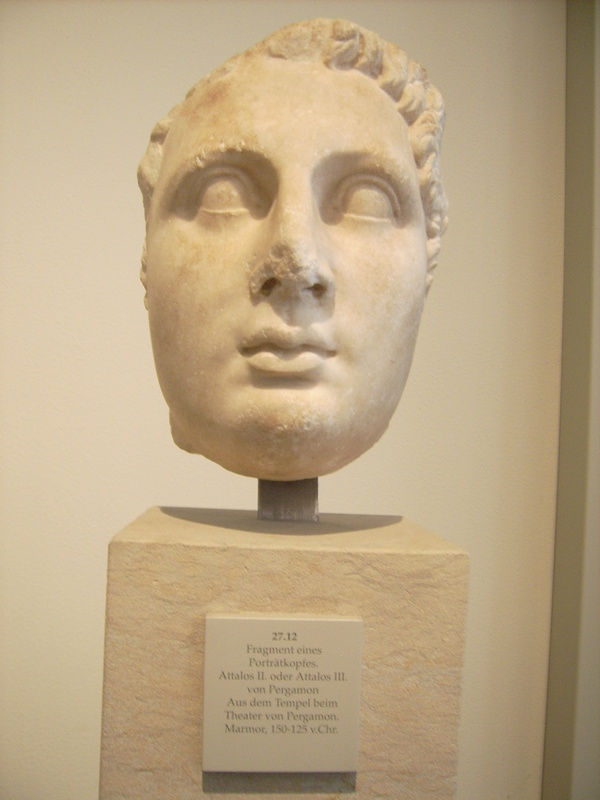 Altes Museum, Berlin. Credit: Marcus Cyron, licensed under Creative Commons. One of my favourite characters in the history of ancient pharmacology is Attalus III, king of Pergamum (ruled from 138 to 133 BCE). As a king, he is remembered for bequeathing his small kingdom to Rome at his death. Apart from that, we know very little about his rule. Instead of focusing on his political achievements, ancient historical sources dwell on his strange hobbies. According to the historians Plutarch (first-second century CE, wrote in Greek) Justin (second century CE, wrote in Latin), after having his mother and wife killed, the king lost all interest in his physical appearance and developed a passion for gardening. He planted highly poisonous herbs such as henbane, hemlock and hellebore in his gardens. 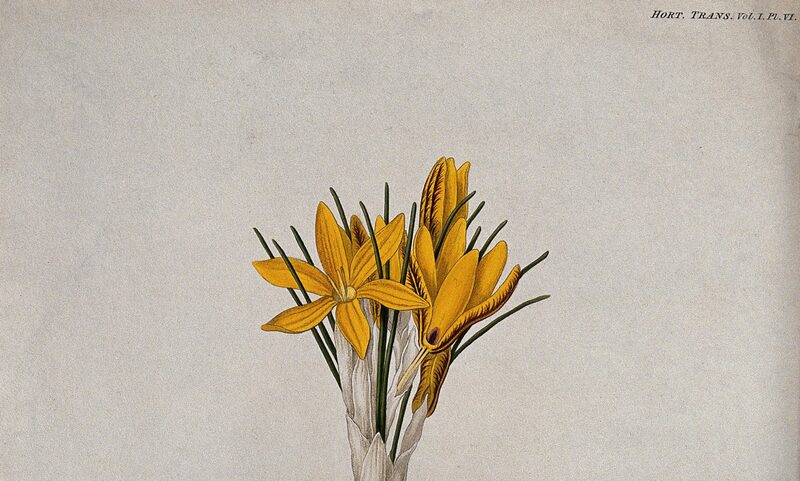 He then sent to his friends samples of these plants, mixing their sap to that of non-poisonous plants. Tired of this, he then moved on to wax-modeling and pouring and forging bronze. There is the Attalic plaster for wounds. It contains: copper scales, 16 sextulae; frankincense soot, 15 sextulae; ammoniac salt, same amount; liquid turpentine resin, 25 sextulae; bull suet, same amount; vinegar, three heminae; oil, 1 sextarius. Mithridates himself, like Attalus among us, desired to have experience of almost all simple drugs that are given against deadly substances, testing their powers on evil men who were condemned to death. White plaster made with pepper, according to Attalus… This remedy has already been prepared many years ago by Attalus, ruling over us people of Pergamum, a man who was most studious about all sorts of remedies. Again Galen presents his fellow countryman as a serious scholar, not as a mad hatter. Who is right? Galen or the historians Plutarch and Justin? Nobody will ever know, but Attalus’ story is an excellent exercise in source criticism! Celsus, De Medicina 5.19.11. A sextula is a sixth of an ounce. An hemina is a half of a sextarius. A sextarius is roughly the equivalent of a British pint. Galen, On Antidotes 1.1 (14.2 Kühn). Galen, On the Composition of Medicines according to Types 1.13 (13.414 Kühn).